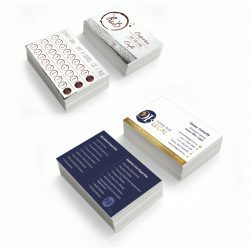 From a simple business stationery order to a high end corporate presentation package, our printers have got you covered in Cardwell. Expressway Signs is all about finding an effective solution for you, whether your needs are large or small. Our printers and signwriters are passionate about helping Cardwell clients through every stage of the service, including planning, designing, manufacturing, delivering, attaining council approval, installing, and maintaining your banners. 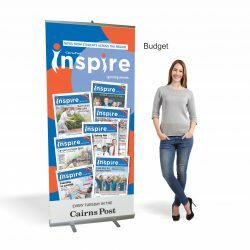 From our base in Cairns, we make sure your business receives the best possible promotion through quality-made banner and signs. 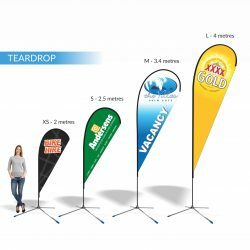 At Expressway Signs, our team has more than 49 years of experience creating banners and signs that suit a range of clientele. This is how we are able to match marketing solutions to businesses throughout Cardwell, no matter what their needs or taste. We are dedicated to giving your company the best possible exposure, which is reflected in every job we complete. Expressway Signs is the team of Cairns printers and signwriters that you can trust. For truly exceptional services, give us a call on 07 4035 4113 or contact us via email here and we’ll get back to you right away!